Suzanne Wright Crain M.Ed, is a studio artist, playworker and Fluid Resonance teacher. Her work, The Cosmic Body, cultivates an appreciation for the imaginal through retreats, classes and individual sessions. As an artist, Suzanne invites the visual aspects of movement experiences into form as paintings and textiles through the medium of “Living Water”. Three movement inquiries have inspired my work over the years and resulted in these series: “DreamTech 101: Visual Expressions of How Organic Apps Work Inside our Bodies” (March 2012 Contemporary Art Month); “Glial Series” (March 2011, 42 Pieces spanning three years, investigating how Glial Cells work in the brain); “Resonance: A Study of Tensegrity in Our Connective Tissue” (July 2009 for Contemporary Art Month) and “The Cosmic Body: An Exploration of Continuum Movement and Art” (July 2005). Her interest in consciousness began early, inspired by her upbringing on a tobacco farm in rural Kentucky, active duty military service and the friendship of Shinto-Buddhist gardener, Isamu Taniguchi. 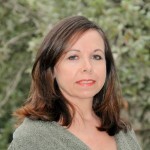 She was mentored by Emilie Conrad from 1999 – 2014 and taught as an authorized Continuum teacher in 2004. Other significant influences are Marshall Rosenburg’s Non Violent Communication and Quakerism. She lives and works in San Antonio, Texas and has maintained a studio at Blue Star Arts Complex for several decades. In Continuum the primary focus is the fluid system. As we sound and move from resonance, the bio-intelligence of the fluid system becomes the choreographer. The Cosmic Body is my way of bringing the visual aspects of these experiences alive, as I work and play with the medium of “Living Water”. Living Water is water collected from a living source like a spring, stream or the ocean. This water is then carried to gatherings to be in the quantum field of the room. Later, when I am back in my art studio, I create ceremony using this charged water to make Living Water Spirit Cloths or Living Water paintings. When the art manifests, it comes from this resonant place of the unbounded wholeness, the Dreaming, the quantum field, whatever you wish to call it. The water takes sentient form by carrying the paint or dye into wet shapes. When the piece is dry and hung for the “opening ceremony” these sentient beings jump out, alive and engaging the viewer, their energies invoking and awakening the deepest connections. They are alive with “organic technologies” I call DreamTech. For a commission piece, the beings are coming in specifically for that client. Other pieces are “general delivery” and find their purpose influencing the quantum field. DreamTech offers a new, indigenous way of participating with biospheric consciousness. This two-way relationship helps us recognize the subtle, often marginalized cues from the dreaming background of reality, influenced by Continuum. Some of these cues become DreamTech and communicate directly with complex body process, offering us new and alternative options for growth and health. DreamTech communicates directly to the few cell receptors on our cell membranes that have the ability to respond to imaginal stimuli, thus influencing changes in physiology. The sentient forces of DreamTech in the Spirit Cloths help us build dialogue and collaborate with body processes from the background Dreaming of non-consensus reality.